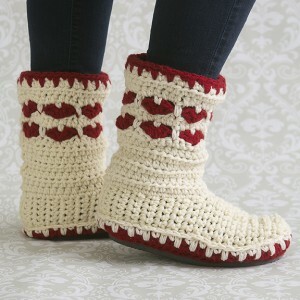 Keep your toes warm with these cozy crochet socks and crochet slippers. Before you panic at the thought of crocheting your own socks and slippers, with their unusual shaping, fear not! Crochet socks and slippers are just like any other crochet project: you’ll find some easy, beginner-friendly designs but you’ll also come across some intricate and complicated ones. See how you can make your own crochet slippers and socks to keep your feet and toes cozy and warm. See simple designs for beginners as well as patterns with color changes and designs. There’s even a pattern for legwarmers just in case crocheting slippers are still a little intimidating. Don’t be intimidated and give these crochet socks and slipper patterns a try – your warm and toasty feet will thank you! 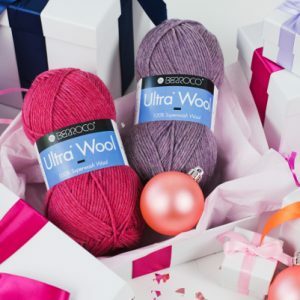 Cozy slippers crocheted in worsted weight 100% superwash wool are a perfect quick gift for the holidays. Each slipper is worked without cutting yarn, leaving just two tails to weave in at the end. A pair of slippers can easily be made from just one skein of worsted weight yarn! Toe-up socks are so much fun to make— you can try them on while you crochet! The toe, heel and cuff are worked in single crochet and the foot and leg are worked in a two-color vertical stripe pattern that is easy to remember and keeps things interesting, even for the second sock! 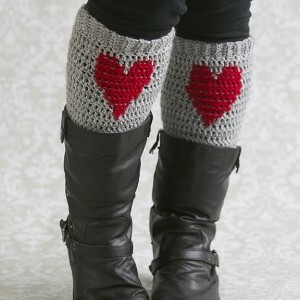 Cozy up to these heart legwarmers and stay warm the hearty way! These 100% wool legwarmers look great peeking out over slouchy boots and are a wonderful way to spread the love.